I'm going to post Minor Delays, Signifigant Delays andService Disruptions Rail Alerts in this topic when I notice them, since they do count as breakdowns in some sense. You can as well if you wish. Sudden Alerts: Alerts that impact rail lines due to mechanical issues, medical issues, weather-related, etc... will be posted immediately once I notice them occuring(if I happen to not notice them for whatever reason, they won't be posted. However, chicagobus.org members are free to post alerts they notice). Construction Alerts: Alerts that impact rail lines due to construction. These could vary from station bypasses, single tracking, etc... these alerts will only be posted for ones that occur during high travel periods on the "L", which is typically between 6a-9:59p. Overnight alerts will not be posted as these are low travel periods on most lines. Orange Line Riders: Signifigant Delays at Halsted(single track) due to equipment problems in the area. Board on "Loop" bound side of platform. What type of equipment problem would suspend service on the yellow line? A derailment or something? show everything back to normal (or as normal as the CTA is). I was working at the firehouse last night and was listening to the fire dept. radios. Apparently what happened was a CTA railcar had derailed, a large fire response was initiated including several ambulances. CFD units on scene were reporting that one car had derailed near Jarvis, an evacuation of about 35 passengers was completed from the elevated enbankment. Red Line Riders: Service Disruption between Garfield and 95th due to Fire Dept. Activity. 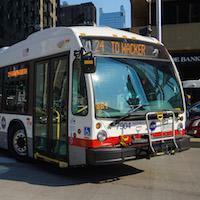 Moved posts from The Breakdown Thread in CTA Bus related to rail service issues to a new thread in CTA Rail. Yellow Line Riders: Service Suspended for the weekend due to construction of a new station at Oakton St. Bus Shuttles will replace Rail Service for the weekend. Red LineThis morning I got on a NB Red Line train at Lake St. We sat there for 10 minutes while a supervisor and the operator kept talking, and the supervisor also had a handheld radio. Then the operator finally announced we were not going to move because they were waiting on the fire department and it would be best to take the bus. So I went back upstairs to State/Lake to catch the 146 only to find the fire department arriving on the scene in bunches. The 146 bus that was at Randolph got detoured, so I went up to the elevated platform to wait for the rerouted Red Line trains. Another 15 minutes before one came. By the time we made it to Armitage, a Red Line NB train was coming out of the subway. My train continued making Brown Line stops to Belmont, at which point it ran express to Howard. As of 6:45p.m., Red Line trains rerouted over Loop Elevated tracks in both directions. Again. Anyone else feel like this is quickly becoming 1999 again? Mostly isolated incidents so far. I'm not seeing hundreds of 2600s failing left and right like in '99. I wonder how the 5000s are doing. Rodriguez certainly got his wish for a bad winter. If they really want put them through the ringer, running them on the Red Line overnight might be a good idea. Red Line 2600s has been having failing heaters for years. 2400s/ 3200s(Brown Line) has better heaters. Even 2200s heats up better than 2600s. They could also put some of Purple Line's 2400s on the Red Line overnight too for more heat. Brown Line Riders: Service Disruption due to an accident near Rockwell. Since you think this is significant, why not report the entire poop on this incident? Maybe he didn't link to or report "the entire poop" because there was no Tribune article posted yet at the time of his chicagobus posting? I wonder if that is possible. Red Line Riders: Service Disruption for Howard-Bound Subway Trains. Howard-Bound Trains are temporarily rerouted to the elevated tracks between Cermak-Chinatown and Fullerton. This is due to equipment problems in the vicinity of Chicago.